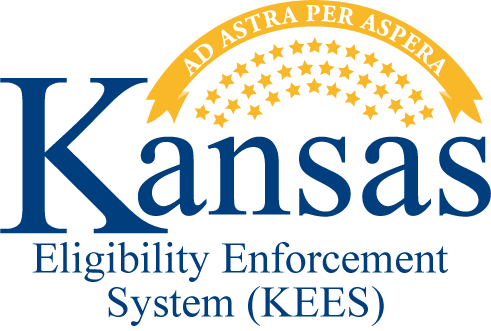 TOPEKA – The Kansas Department for Children and Families (DCF) is proud to announce that its integration into the Kansas Eligibility Enforcement System (KEES) is complete. On Aug.18, the agency’s eight antiquated eligibility systems were replaced by KEES. It was estimated that online processing of welfare benefits applications would halt until early September, when the new system launched. The improved system went live ahead of schedule, on Aug. 28. Medicaid processing was also temporarily delayed. It has also now resumed. “Our staff members have worked hard preparing for this transition, and with the support from Accenture and the Kansas Department of Health and Environment (KDHE), we have ensured minimal disruption in application processing,” said DCF Secretary Phyllis Gilmore. “After several years of collaboration, preparation and anticipation, we can officially consider this project successfully completed. At 9 a.m., on Friday, Sept. 22, KDHE Chief Information Officer Glen Yancey will present details of the successful completion of KEES to the Joint Committee on Information Technology, in room 159-S, at the State Capitol Building, Topeka. KEES is a computer system that allows Kansans to apply online for medical and social services, including welfare benefits, Medicaid and more. This system upgrade involved DCF welfare benefits programs, such as cash, food and child care assistance, among others. Accenture is the contracted partner to the State that created the KEES system. The KEES project was launched in several phases. The second phase, which launched in July 2015, incorporated the State’s Medicaid system. The upgraded online eligibility system includes many features that benefit clients and allow State agencies to more effectively communicate information. This is expected to improve accuracy and efficiency in processing. One of the features of the system is a new Self-Service Portal for low-income Kansans to monitor the progress of their welfare benefits applications. Clients can also view their case details, benefit amounts and history, view pending verifications needed for processing and upload documents directly to their case. Staff members are now able to perform data entry into a single system that covers multiple programs. This allows for better use of staff time and minimizes human errors that can delay benefits distribution. Promoting efficiency and effective customer service is a priority for the agency. In 2013, DCF implemented new business processes that reduced eligibility determination from approximately 30 days to less than 10 days, with many clients now receiving same-day determinations.